BOOK OF HOURS -A manuscript leaf from a Book of Hours. Date : Western France, ca. 1480. Size : 8.7 x 6.3 inches. / 22.0 x 16.0 cm. 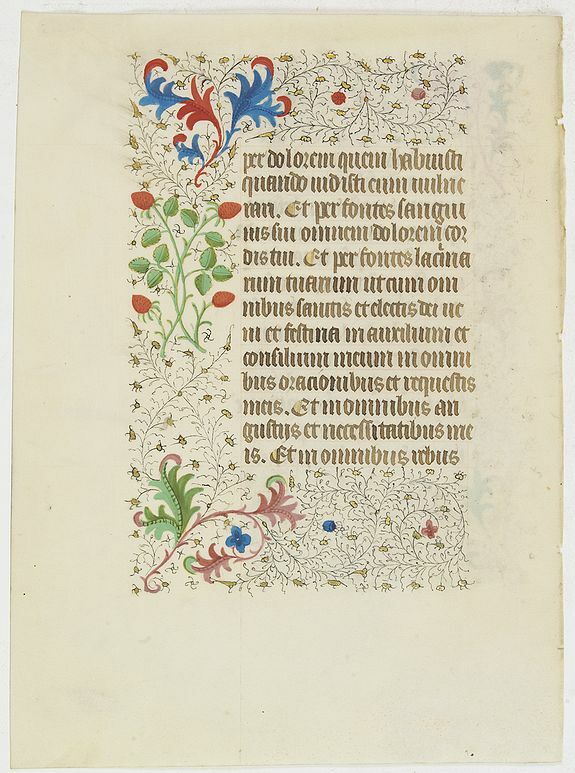 Description :RECTO: Colourful panel border in the upper, lower and left margins of acanthus leaves and flowers, with black pen work and gold. Condition : 13 Lines of text in Latin, written in a brown late gothic book hand.